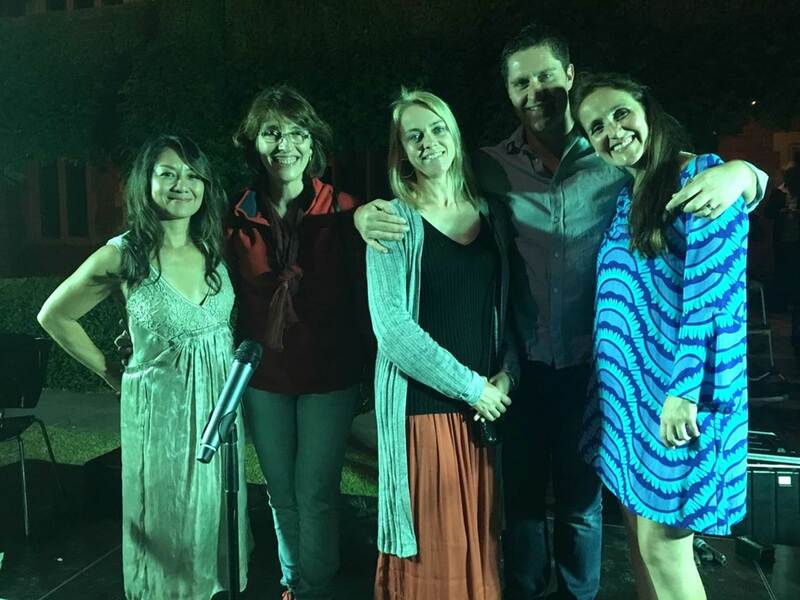 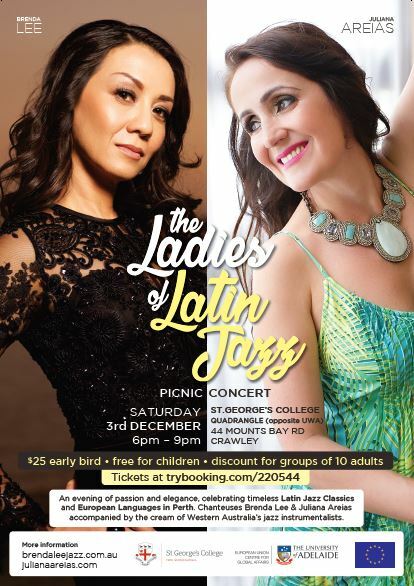 On 3 December 2016, as part of the cultural outreach program, the EU Centre for Global Affairs sponsored the Ladies of Latin Jazz Picnic Concert to celebrate timeless Latin Jazz classics and European Languages. 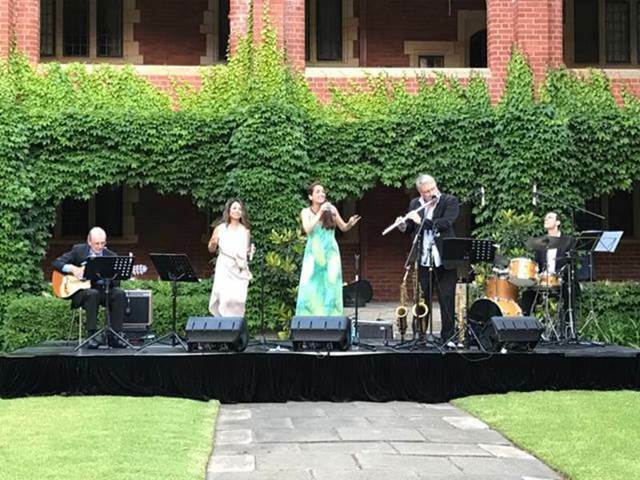 The event was held in the gardens of St George’s College in Perth and attracted a diverse audience with over 30 guests in attendance including members of the public and faculty from Curtin University. 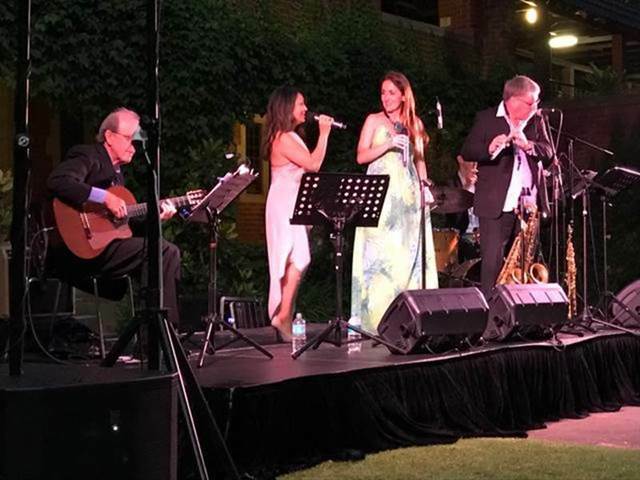 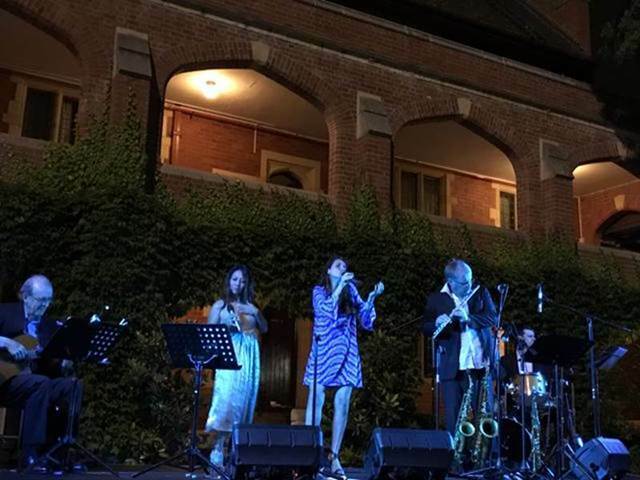 The concert featured a stunning collaboration between authentic Latin Jazz chanteuses – Brenda Lee and Juliana Areias with a sensational repertoire in English, Spanish, French, Portuguese and Italian, and accompanied by the cream of Western Australia’s jazz instrumentalists: legendary guitarist Ray Walker, saxophonist/flautist Paul Millard and drummer Bronton Ainsworth.